India’s urban population is expected to hit 590 million by 2030. It should harness the exceptional planning skills displayed at the Kumbh. On February 10, 36 people were killed in a stampede at the Allahabad railway station. Allahabad, located in the north Indian state of Uttar Pradesh, is the second-oldest city in India and plays a central role in the Hindu scriptures. Most of those caught in the stampede were devotees traveling to attend the sacred Maha Kumbh Mela, a massive Hindu religious festival held every 12th year in Allahabad. While planning to travel to the festival ourselves, news of the stampede was concerning. Taking in the reports from our offices in Delhi, we became increasingly skeptical that the authorities could pull off an event of the Kumbh’s magnitude. We were surprised by what we found. After arriving in Allahabad, instead of the expected chaos, we found a highly coordinated city; one offering lessons for both a rapidly urbanizing India and other areas affected by mass migration, such as conflict zones and refugee camps. 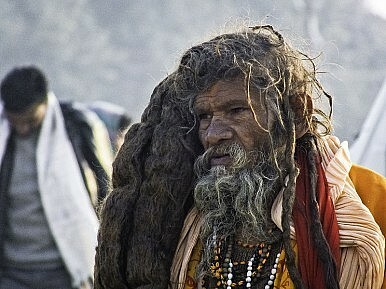 The Maha Kumbh Mela is reportedly the world’s largest gathering of people. Estimates peg the number of devotees swarming Allahabad’s banks between 70 and 100 million. During the six-week festival, pilgrims press to take a holy dip in the Sangam, the confluence of the Ganges, Yamuna, and mythical Sarasvati rivers. The water is believed to wash away sins and offer relief from the cycle of rebirth. The local government’s ability to successfully manage this human tidal wave is even more impressive when placed in context. According to the World Bank, roughly one-third of India’s population lacks access to electricity. However, in a city constructed and later deconstructed in a matter of weeks, electricity, safe drinking water, and police protection are all provided. It’s an instructive achievement. When we first made our way to the “pop-up megacity,” some sights were expected. A friendly old Sadhu (a Hindu ascetic) immediately greeted us and promptly demanded baksheesh (“tips”) for our enthusiastic picture taking. Additionally, the Sangam water – used for drinking, bathing, and brushing teeth – appeared dark brown, even against the muddy banks of the Kumbhnagari (literally, “Kumbh City”). While many worshippers had already decamped, including the revered naked Naga Sadhus, the display of overwhelming piety was exceptionally moving. What we did not anticipate in this “ephemeral city” made to accommodate a population the size of Texas, was a successful model of good governance. One night, while strolling back from the Sangam, we could fully take in the almost empty Kumbh site. Street lamps stretched out in grids for what looked like miles, and even during a short walk, we came across multiple police stations and hospitals. The Kumbh is also a first-rate example of an effective public-private partnership. According to Harvard researchers and the Indian government’s Mela Administration, the state lays out the Kumbh Mela city grid and its various sectors, including roads, 41 police check posts, 36 fire stations, and 30 hospitals. However, nearly 5,000 private (many religious) organizations plan the inner tent cities, which hold as many as 700,000 tents. NGOs run the missing persons units in coordination with the state police. Making this task more difficult is the city’s elasticity, as its parameters are partially determined by the annual river recession, which comes into full view only in October. The entire city “pops up” in the subsequent two months. The Harvard team noted that the Kumbh used only a few times the space of “Burning Man,” a yearly art festival in the United States, yet had nearly 1,000 times the participants. While many come and go within a few days, the largest bathing day is estimated to have anywhere from 30-40 million people. Because the Kumbh is held over 55 days (where other gatherings might be a weekend or, at most, a week), housing, road, latrine, and other public health considerations must all be taken into account. Local administration even coordinates with upstream dams to release more water on major bathing days in order to remove dangerous particulate build up. As Luce Scholars living and working in India this year, we have observed a seeming disconnect between India’s global economic ambitions and often times troubling social conditions. The challenges will grow as India rapidly urbanizes. According to the McKinsey Global Institute, India’s urban population is expected to balloon from 340 million in 2008 to 590 million by 2030. The Kumbh’s public-private partnership model highlights potential avenues for India to meet these daunting obstacles. By providing stable access to electricity and over 35,000 public toilets, laying 156 km of roads, constructing 18 pontoon bridges, deputizing 30,000 policemen for security, and expanding public transport, organizers successfully accommodated the dramatic groundswell. The railway stampede, initially a significant cause for alarm and skepticism regarding the festival’s organization, actually occurred outside the Kumbh’s jurisdiction – underscoring just how dangerous large gatherings like this can be without proficient organization and management. Meanwhile, the Kumbh site saw police use an integrated computer system to register displaced or missing persons, frequent announcements on loudspeakers, well-placed identification posters, pictures on nine giant LED screens, and smartphone applications to guide loved ones back to one another. The Kumbh, while far from problem-free, is a notable example of the state’s ability to accomplish significant feats in short order, not usually considered its forte. With an urban population set to double over the next 20 years, India should harness the exceptional planning skill displayed at the Kumbh. This would be one small step in capitalizing on a demonstrated potential to transform the lives of many living in India’s most impoverished conditions. Daniel Rubin and Cody Poplin are 2012-2013 Luce Scholars in India, working in New Delhi with the Observer Research Foundation and the Centre for Policy Research, respectively. They can be reached at [email protected] and [email protected]. The views and opinions expressed here are those of the individual authors and not those of The Asia Foundation. The United States and Russia are competing for India’s favor – and its energy market.